A new post-election edition of Are We the People? has been released. . . . → Read More: New Post-Election Edition of Are We the People? A Convention To Implement the Liberty Amendments? 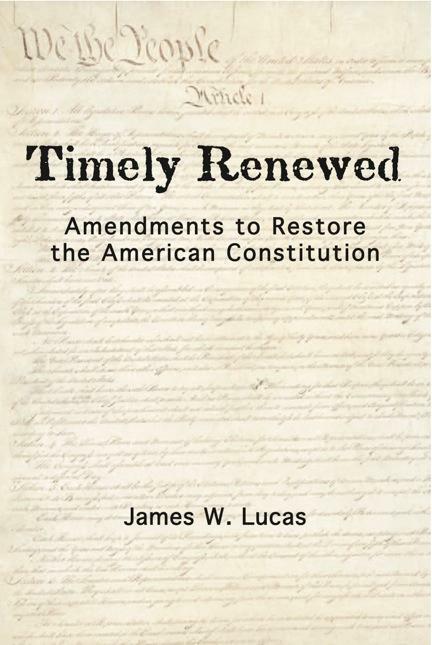 Mark Levin has directed attention to the use of the amendment power to restore constitutional government. However, the use of a state-called convention to accomplish this is very problematic from a procedural point of view, let alone concerns for a “runaway” convention. The better approach is to first adopt Levin’s and others’ suggestion that we amend Article V to permit states to initiate amendments without having to go through a convention. . . . → Read More: A Convention To Implement the Liberty Amendments? Obamacare: Winning the Battle but Losing the War? Even if the Supreme Court rules Obamacare unconstitutional, that will still leave in place all of the previous 75 years of Supreme Court decisions which have allowed the federal government to expand far beyond its original constitutional limits. In the 1930s, the Supreme Court overturned many New Deal expansions of federal power, only to have them all reversed as Roosevelt appointees eventually filled the Court. A Supreme Court decision against Obamacare must not be a cause for complacency in the war against the ever-expanidng power of the national government, including enacting amendments to restore the original constitutional limits on federal power. . . . → Read More: Obamacare: Winning the Battle but Losing the War?